Ubuntu 17.10 "Artful Aardvark" Preview Part 5: New System Settings! Now, Ubuntu Artful gets a new System Settings with a fully-new interface from GNOME 3.25. It's officially renamed to Settings and it got big changes. It's very amusing to read Georges Staracas' article (the developer of Settings) especially the fact that more than 30.000 lines of code changed since v3.20 by 15 contributors! This means when finally released, Ubuntu 17.10 will include Settings by default. Now let us see the quick look at Artful here. Enjoy! Read the previous articles: Part 1, Part 2, Part 3, and Part 4. It's now called Settings. This re-naming follows the simplified naming trend of GNOME 3 like Epiphany renamed to Web, Nautilus to Files, Totem to Videos and so on. However, it's still amusing to try this new thing! If you're currently using Artful pre-release version, just refresh your repository lists (apt-get update) and you should see version 3.25.92 of the gnome-control-center package available from the main room. Install that! 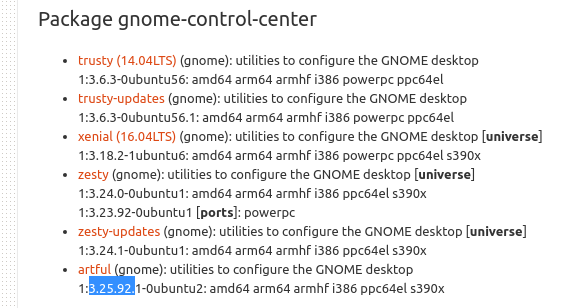 This is a GIF depicting each of all settings available on Settings, the new GNOME Control Center. 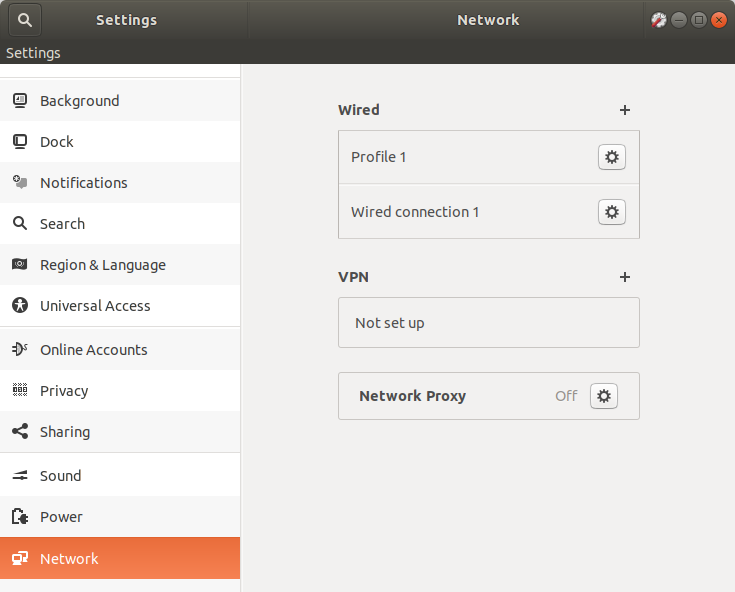 This is the overview picture of Settings, the new GNOME Control Center on Ubuntu Artful. It got whole interface redesign with now using list-view two-columns instead of previously icons-view single-column. Oh, and also the Search button is now at top-left corner. The major part of the redesigned is the Network. It got big changes so that the configuration (simple or advanced) is cleaner, less-confusing so you can avoid mistake in configuring network. The display is much more simple now by using same single column to show many types of connections (Wired, Bluetooth, VPN, Proxy), but simpler arrangement and fewer buttons. You will understand the settings below easier, right?